Suzuki is partnering with the kykNET soapie Suidooster and the SA Film Academy to launch a skills development project. 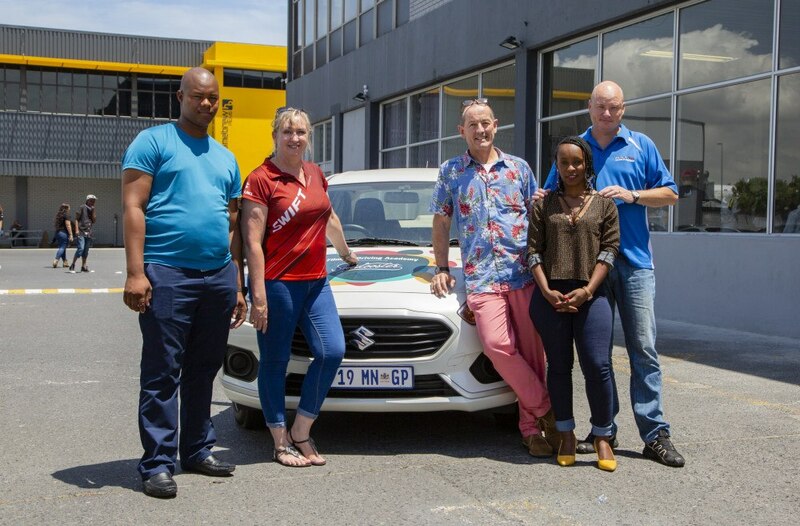 In conjunction with Suidooster and the SA Film Academy, Suzuki is starting a driving school for the television and film industry. The new Filmgro Driving Academy, which is based in Cape Town, was launched on Friday, 16 November at Atlantic Studios in Milnerton, the home of the SA Film Academy and Suidooster. MacDonald added that Suzuki’s motorcycle division is also looking to get involved with the project. According to Seton Bailey, the head of the SA Film Academy, the main aim of this organisation is to drive growth and development. “One of the biggest impediments to employment and career advancement in the film and television industries, especially for people from historically disadvantaged communities, is lacking a driver’s licence – or access to the finances and professional, accredited resources – in order to obtain one,” says Seton. Suidooster’s spokesperson Wilmer Müller says that it is vital for the producers, crew and cast of the soapie to give back to their industry and also communities. “It is amazing what difference a driver’s licence can make to someone’s future. Therefore, we want to drive growth in the television industry by empowering younger people to eventually become the leaders in this exciting industry, which is vital in growing the South African economy,” says Wilmer. There is also interest from the media to expand this to magazines, newspapers, digital media and radio, since they are faced with the same challenges with young talent who can’t be appointed in permanent positions because they don’t have driver’s licences.